Accredited by The British Allergy Foundation, remove up to 99% of potentially harmful airborne pollutants, allergens and bacteria from the air stream. Suitable for any sized room up to 120 M². Suitable for smaller spaces, breath easy with Vax air purification. Helps to effectively remove airborne pollutants from the air stream. A convenient solution to indoor air pollution. Smart Sensor Technology monitors the quality of air in your home and the filter effectively removes up to 99% of airborne pollutants, allergens and bacteria - which are known to trigger asthma. Help to maintain air quality and reduce pollutants in your home. Works for any sized room up to 105 M². Accredited by The British Allergy Foundation, Air Purifiers are Vax’s solution to indoor air pollution. The Pure Air 300 draws in dirty air and releases clean fresh purified air, removing up to 99% of airborne pollutants, allergens and bacteria in rooms up to 120m2. 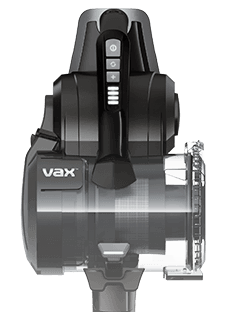 Buy from Vax direct and get a free additional filter worth £49.99. Did you know that indoor air can be 10 times more polluted than outdoor air? Not only do we spend considerably more time indoors than out, but the concentration of pollutants inside buildings are often much greater than those found outdoors*. Air purifiers help remove dust, allergens, mould spores, bacteria, viruses and smoke, improving your indoor air quality in a highly polluted environment. Using an air purifier can reduce your reaction to pollen and sneezing, helping you breathe and sleep better. Smart Sensor Technology in Vax Air Purifiers monitors the quality of air in your home and the filter effectively removes up to 99% of airborne pollutants, allergens and bacteria - which are known to trigger asthma. Vax Pure Air 200 and 300 also come with a quiet night time mode for clean air and a peaceful sleep.